Gamification is no longer a tool solely for video game makers. Organizations everywhere are revolutionizing the way they do business. Top organizations are motivating, encouraging, engaging, even recruiting, not only their employees but their customers as well. These organizations use gamification – a powerful, and enjoyable, instrument – to solve difficult real world issues and achieve remarkable results. What that means is that we, as humans, inherently want to have fun, in whatever we do, and are drawn to activities we fundamentally enjoy. Gamification is gaining traction in the private and public sectors and it is projected that by 2015, more than 50 percent of organizations that manage innovation processes will gamify those processes. The world’s largest corporations and governments are jumping on the gamification bandwagon – and why not? Gamification is quietly gaining huge popularity in the effective way it improves motivation, improves loyalty and is a perfect platform for crowdsourcing. Games are attractive because they spurn our intrinsic motivation. Our intrinsic motivation is a motivation of experiencing and demonstrating desirable human traits such as competence, autonomy and relatedness. Games draw that out in our behavior. We like to compete against ourselves, and others, and appreciate the recognition and sense of self satisfaction that comes along with gaming. Why not marry that feeling with the duties of work? Many have. 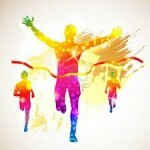 Gamification energizes people and implants a sense of fun and recognition. It takes the mundane and makes it exciting. Gamification is no longer reserved for the teenager locked in his mom’s basement playing World of Warcraft. Take Microsoft, they employed gamification to promote crowdsourcing. Instead of tasking their in-house staff with the thankless duty of reviewing and editing thousands of foreign language dialog boxes, they gamified and crowdsourced the task. They received a terrific response from worldwide volunteers who were thrilled to proofread a Microsoft dialog box in their native language. And Nike, who employed gamification to sell their products by introducing Nike+, an app that tracks and ranks your running times and offers the ability to create “run groups” with others. Nike+ encourages you to put the iPad down, get outside and beat your neighbor’s best time. Gamification is about how to use games to solve real world problems. A great example is demonstrated by an initiative in Stockholm, Sweden, sponsored by Volkswagen. A speeding lottery game was created for a three day period. The game took place in a 30 km/hr speed limit zone in an effort to reduce speeding. The premise of the game was if you drove over the posted speed limit of 30 km/hr in the zone you were fined. If you drove at or under the speed limit, you were entered into a lottery to win a portion of the fines paid. Over the three days of the test, the average speed in that particular zone dropped from 32 km/hr to 25 km/hr or a 22% drop. Gamification is fun with tremendous benefits. Gamification promotes marvelous behaviors such as: encouraging employees to get to work on time, incentivizing the wait staff to mention the highly profitable appetizer or drink special at every customer touch, and yes, no less, even getting your subscribers to voluntarily reinforce your customer support department – as in the case of Canadian wireless carrier Koodo. Be in it to win it. Irrespective of organization, there is no “highest level” with gamification – so long as the players are having fun and come back for more. This entry was posted in Analytics, Contact Center Investment, Contact Center Technologies, Customer Experience, Gamification, Social Media and tagged Analytics, Call Center, contact center, Contact Center Technologies, customer experience, customer satisfaction, retention, Social Media by asrabadi. Bookmark the permalink.